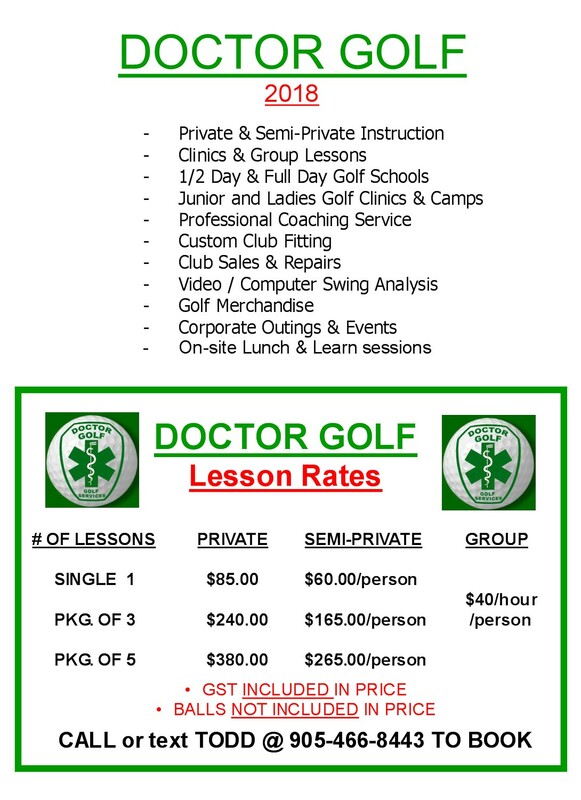 Welcome to Doctor Golf, a Professional Golf Services Company which is dedicated to the improvement and enjoyment of your game of golf. We offer a variety of Professional Golf Services to individuals, corporations, associations throughout Muskoka, Halton, Hamilton/Wentworth, and the GTA. 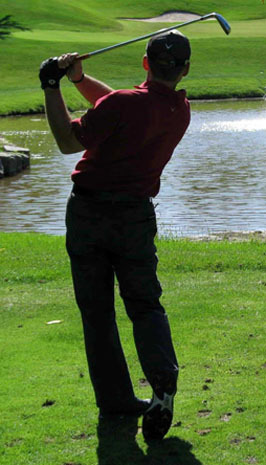 Todd now spends the majority of his golf seasons instructing in Muskoka. 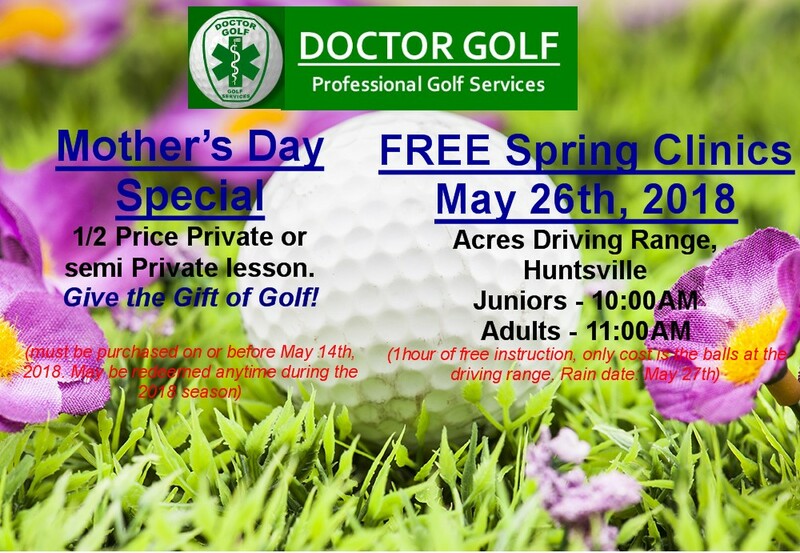 The Acres Driving Range, Just East of Huntsville, Serves as Todds home Base and is where he hosts all his clinics and camps. You name a suitable location and we'll come to you for your Golf lesson, clinic, club fitting, re-gripping or other service. Our Goal: To provide the best instruction, programs, products and services in the golf teaching and golf services industry. Ask about our FREE Swing Evaluation. 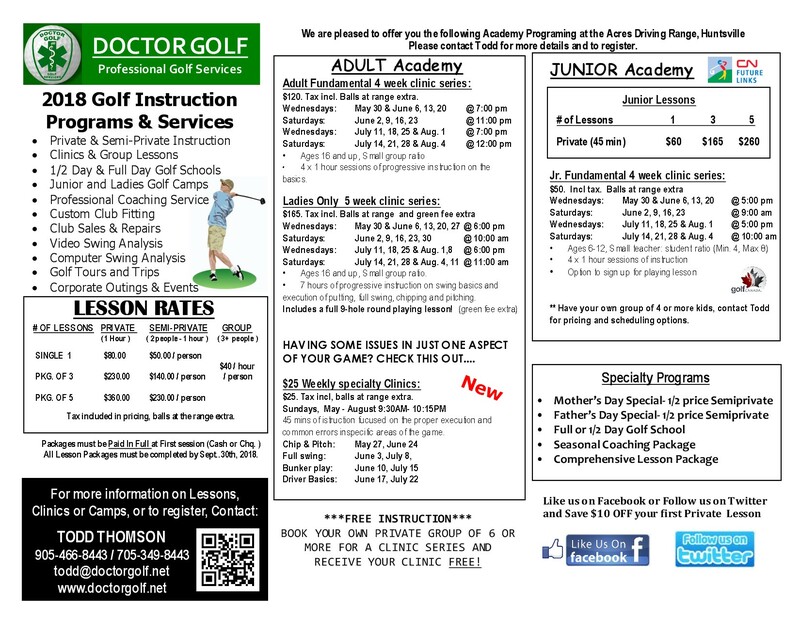 To receive an E-brochure of all the programs and services for 2018, including lesson, clinic and camp information, send an e-mail to todd@doctorgolf.net. Within the text box type: "Oakville lesson info." or "Muskoka brochure request"